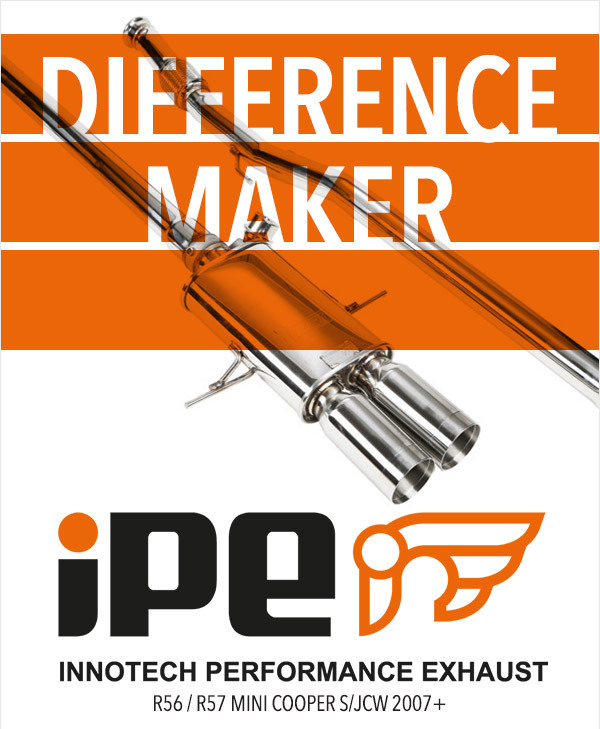 IPE Innotech Valvetronic Exhaust For Your MINI Cooper !!!! Innotech's valvetronic technology offers a sophisticated performance exhaust system that delivers both power and dynamic valve control to the driver's seat. The full system includes the remote capability to command 3 different modes: open, closed, and auto. In open mode, the valves are fully open for maximum flow and power, creating an exotic tone. When the valves are closed, volume is reduced for a more low-profile, comfortable drive. The auto mode enables the system to detect the engine RPM and fuel pedal signal to automatically adjust the valve movements. Last edited by ECSTuning; 08-12-2016 at 10:10 AM.